Archeologists dig up clues about the lives of ancient humans by studying the tools and piles of trash they left behind. Now, it turns out they can do the same thing with another species of skilled tool users in the midst of their own “Stone Age” — sea otters. 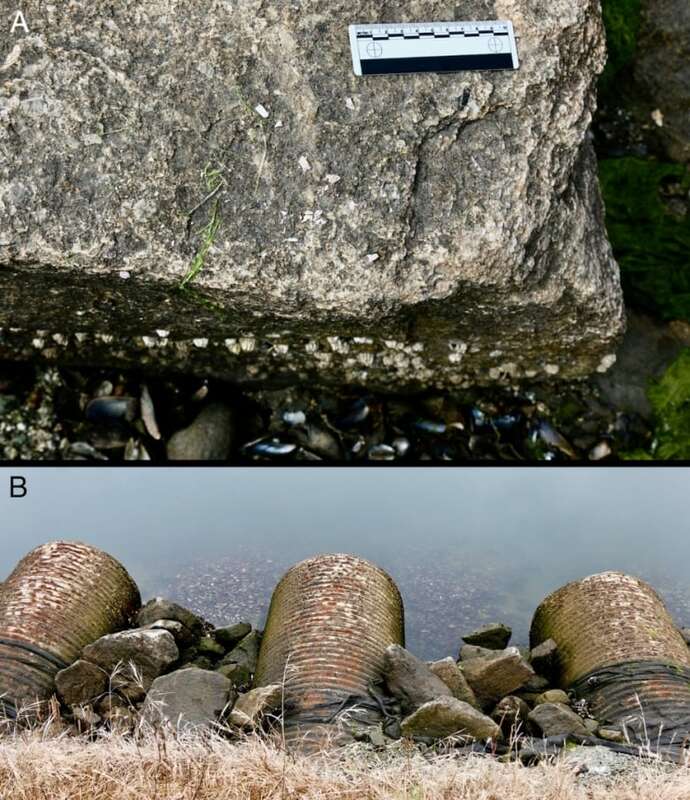 This kind of “animal archeology” could open up a new window into the past, researchers report. It turns out all that pounding can also be damaging to the shell-cracking tools involved — that is, the stones — “creating a distinctive archeological record that parallels and may even pre-date that of the humans they currently live alongside,” reports a new study led by Michael Haslam, an independent archeologist based in London, England. Several years ago, Haslam, then a research fellow at Oxford University, invited Tinker to a meeting about the new field of “animal archeology.” Haslam, who had studied the use of stone tools in monkeys and apes using archeological techniques, and proposed doing similar research on sea otters. 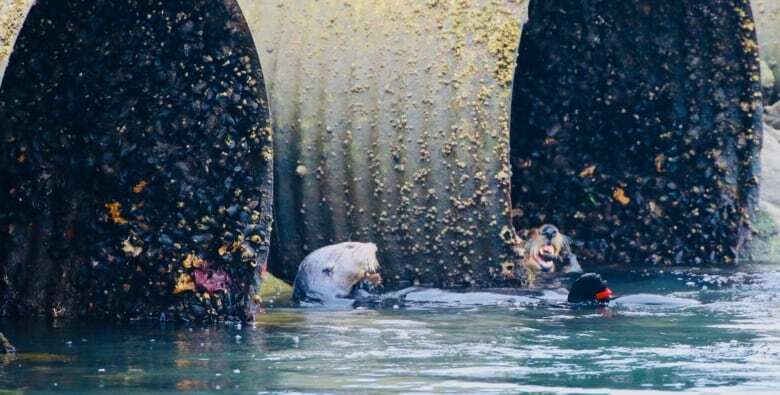 After visiting several sites where sea otters were floating on their backs, carrying rocks on their chests and using them to crack food open, Tinker and his team took their visitors to Bennett Slough Culverts in Moss Landing, Calif., where otters pull off and eat mussels encrusted on a series of drainage pipes. The otters can’t collect stones from the bottom there because it’s muddy. But humans had piled rocks along the side of the road that the otters were pounding the mussels on. Uomini recalls that initially, they didn’t see anything unusual about the rocks. Then they started noticing broken mussel shells piled up in certain places. “At first we thought, ‘Hey, that’s funny. 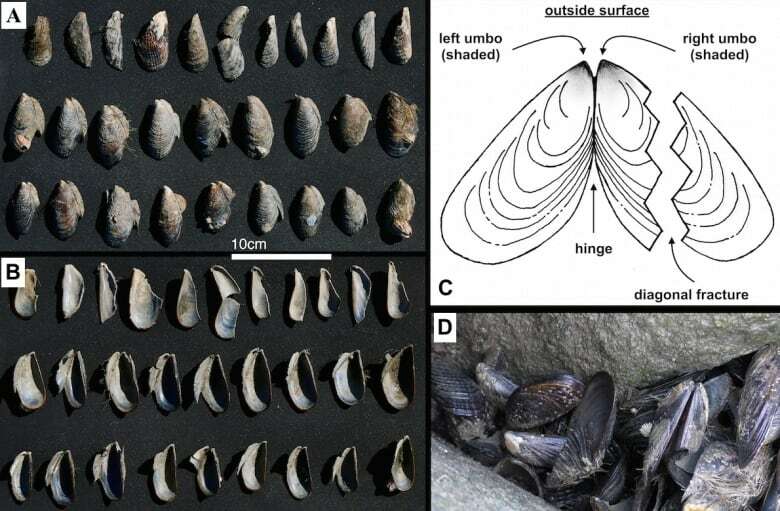 Somebody must have come here, and had a picnic and eaten loads of mussels,'” said Uomini, who mostly studies stone tools made by ancient human relatives 500,000 to a million years ago..
Then it occurred to her that since the mussels were raw, that “somebody” was probably otters, not humans. That highlights the power of researchers from very different disciplines working together on problem “and bringing different ways of looking at nature together,” he added. They videotaped the otters pounding the mussels against the rocks and mapped the rocks themselves. “Right before they hit the rock, they slightly twist the shell so that their right hand is the one that’s really smashing it on the rock,” he said. The finding suggests that most otters — like most humans — are right handed. 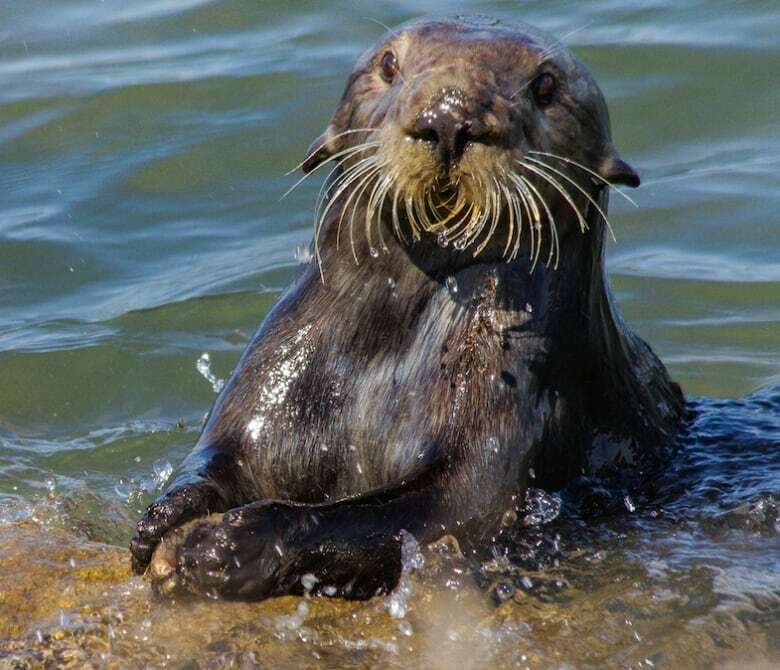 Jessica Fujii, a senior research biologist with the Monterey Bay Aquarium and co-author of the paper, says the team hopes to see if they can find similar patterns on similar rocks at other locations used by otters. So far, they’re not sure if those patterns apply just to otters eating mussels or if they’re similar for other shellfish. By looking for those sea otter signatures from the past, researchers may be able to uncover new information, such as how widely they were distributed before they were nearly wiped out by the fur trade in the early 20th century. (They are currently still listed as endangered on the IUCN Red List, threatened in the U.S., and a species of special concern in Canada). It may even be possible to get information about how sea otters’ diets have evolved over time or how and when tool use evolved in sea otters, the researchers suggest. Erin Rechsteiner is a research ecologist with the Hakai Institute and a PhD candidate at the University of Victoria who studies sea otters on the B.C. coast. She wasn’t involved in the study, but has worked with some of the co-authors.